Why Radio Data System (RDS)? 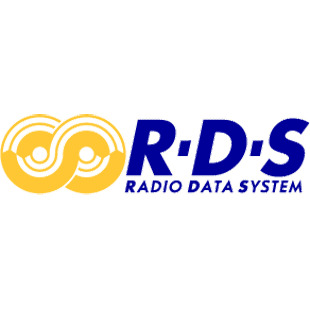 RDS, or Radio Data System, is a system for simultaneous transmission of FM signals and digital data, analogous to Teletext transmission on TV. Parallels between the two services should stop here, because RDS in contrast to Teletext has no independent life, but is transmitted solely to assist in trouble-free reception and to render additional information to the FM programme. The System is now included in many of Bang & Olufsen's current product line-up including BeoSound Ouverture, BeoSound 3000 and BeoSound 9000. RDS has been developed under the auspices of the European Broadcasting Union (EBU) since 1974. The aim of the system is the instant and unique identification of the FM station in order to help the radio listener to find his/her way in the over-burdened FM radio band. The System was developed primarily as a service for car radio reception, where reception conditions may change within seconds, due to the nature of FM broadcasting in relation to a moving car. When driving from one place to another, the RDS circuit constantly monitors the FM station and automatically changes to the same programme on an alternative frequency/transmitter if the reception is unsatisfactory. Stationary radio receivers do not face the same problem as car radios. But the number of FM radio stations in Europe exploded in the 1980's and the '90s. Today there are more than 20,000. In many areas today up to 30 - 40 different stations can be received and this makes it extremely difficult to find out which station you are actually listening to and whether the right station has been found. A basic benefit of RDS is its ability to identify individual stations and show the identity on a display. RDS modernises FM broadcasting with several optional features, while others are still on the drawing board; RDS is a technology that allows further features to be developed and transmitted in the future without problems of compatibility. RDS features can be split into two groups: static data and dynamic data. The static data have been implemented with most national broadcasting companies in Europe and a lot of private companies as well. Transmission of static data is cheap and only requires very little hardware - i.e. a generator in the transmitter chain and no extra maintenance. But transmission of dynamic data requires an operator with the broadcast company and is resource-demanding. Thus it is likely that full-scale implementation of dynamic RDS data will be prolonged into the future, although a lot of testing is already being carried out, e.g. in the UK and Germany. RDS signals are carried on an amplitude modulated sub carrier at three times the 19 kHz pilot tone (57 kHz). A few European countries transmit other data on this frequency (ARI) and when both are transmitted, the two data signals will be sent with a phase difference of 90 degrees. The RDS sub-carrier is suppressed to avoid cross-talk in phase-locked loop stereo decoders. The digital signals are transmitted in separate groups, each consisting of 104 bits. Each group is divided into 4 blocks of 26 bits each. The 26 bits of each block is divided into a 16-bit information parcel and a 10-bit error correction check word. The data rate is 1187.5 bits per second (57 kHz/48). Transmission of a complete group takes approximately 88 ms, i.e. slightly less than a tenth of a second, followed by the immediate transmission of the next group. By combining different blocks in a given pattern the RDS groups can transmit different messages; more important groups must be sent with a minimum amount of repetition in order to avoid drop-outs in the reception especially for car radio use. The first stationary receivers were shown at the Funkatisstellung in Berlin 1987 and at the 1989-Funkausstellung receivers from a number of manufacturers were available. Use of the RDS services requires a display with a capacity of at least 8 characters to show static data and 32/64 characters for dynamic data. As an alternative, dynamic data can be shown on a smaller display with a scrolling action. The characters are generated by an alphanumeric display controlled by the emitted codes. The alphanumeric display can be made available for other manual programming functions such as station naming, similar to station naming on TV receivers using the text generator in the Teletext decoder. In this way the user can name stations that are not using RDS, or override the RDS Programme Service Name with personal favourite names. The RDS module is placed in the tuner signal paths. RDS services - 16 different application have been defined for RDS transmission. As described above, only a few of these have been implemented, i.e. mainly the static data. Below find a listed description of these applications. The list is based on the officially approved application names and abbreviations and are the ones most likely to be used in future publications. PI is used in the RDS decoder in the receiver. None of the PI data is shown on the display. The PI code identifies the radio station according to country, area coverage (options: local/national) and programme reference number of the station. PI is the most significant data and must be broadcast in every group - in some versions PI is sent in two of the blocks of a group. PS is the data used for showing the name of the station on the display. It consists of up to eight characters, in ASCII format and can be displayed on all types of alphanumeric displays. PS data is important and must be relayed once in every group. The three applications listed above are the static and basic data. EBU lists the two first as necessary features in a RDS transmission, whereas AF and the one listed below, TP, TA and DI, are listed as desirable and the rest as optional. TP provides information that the station being received regularly broadcasts traffic information. The service can be used for automatic search for a traffic programme, e.g. in a car radio. TP is transmitted simply as a one-bit code, denoting that the station in question carries traffic programmes or that it does not carry traffic programmes. TP is transmitted in all groups. Up to 31 different programme types	can be identified if PTY is implemented. PTY must be dynamic and usually change at least as often as the programme changes. Programme types include for children, news, pop, jazz, serious classical music, light classical music, entertainment. Code 31 is an alarm code intended to have priority. It should switch the receiver to the station transmitting the alarm message, no matter what mode the receiver was left in. PTY can be used for selection of favourite programme types in the receiver with automatic switching if the programme changes to another programme type. PTY also allows the user to make a scan search for types instead of just flipping through the available programmes indiscriminately. DI provides information on the FM signal, i.e. mono/stereo/compression/artificial head stereo or if a noise reduction system (or combinations) has been employed. Up to 16 different DI codes can be broadcast with combinations of 4-bits. MS enables the receiver to automatically switch between two volume control settings. MS is a simple on/off switching and thus only requires 1-bit for on/off decision. Information on other networks, e.g. local stations and the services they offer. Used in conjunction with AF to render data on 25 alternative frequencies for each of up to 8 other networks. Also data on TP and TA. A service that can be compared to VPS (Video Programming System) on Teletext, in so far as it gives each programme its own identification code. With the function, e.g. a timer record can be started correctly even in the event of a transmission delay. PIN can also switch from sources/programmes to another programme and thus be used as an update function, e.g. for the news. PIN data comprises time and day in the month. With CT, a built-in clock in a receiver can be locked to the CT data and thus synchronised precisely, with automatic switching between summer/winter time. CT transmits Coordinated Universal Time (UTC) and Modified Julian Day (MJD), the international specification for time measurements and displays. The receiver still has to have its own clock, since the cyclic CT may not be decoded accurately every time. Local time and date will be converted in the receiver. For transmission of Radio Text data not suitable for the 64-character display but, e.g. for a television or computer monitor: graphics, alphanumerics, computer programmes etc. TIC displays traffic announcements (TA), either on the display, via printer or using a speech synthesiser. Paging using FM programmes. PG can transfer up to 18 alphanumerics per pager. Service for the transmitting company only, i.e. for internal communication between stations. It can be used for, e.g. remote switching or testing of RDS encoders from the central transmitter, internal paging etc.